Richard Ruffalo, an anesthesiologist and pharmacologist, stood as the last witness. he divided the above amounts by 70 (70 gram being the total stomach contents). Richard Ruffalo concluded that these concentration levels are very low and that they weren’t indicative of someone orally taking them. If someone drank Propofol or Lidocaine, their respective concentrations in the stomach would be much higher. Michael Flanagan cross examined Richard Ruffalo, pointing out to a conversion mistake. Mr. Ruffalo admitted the mistake. Consequently, Mr. Ruffalo stated that Michael may have drank Lidocaine. that drug moves from high concentrations to low concentrations, which explained the Propofol and Lidocaine found in stomach. To do so, he compared the Propofol and Lidocaine levels in the stomach to their respective levels in other samples (femoral, heart or hospital bloods). But Michael Flanagan pointed out that the other samples are measured in micrograms per milliliter, whereas the concentrations that Mr. Ruffalo came up with, before the lunch break, were measured in milligrams per milliliter. All units should be the same for accurate comparison. Michael Flanagan: So as it stands, you made a mistake here? Michael Flanagan pointed out that in all other samples, Propofol is higher than Lidocaine. Michael Flanagan pointed out that the Lidocaine in stomach (2.28ug/ml) is 40 times higher than Lidocaine in hospital blood (0.5ug/ml). Based on the new calculations, Richard Ruffalo testified that MICHAEL MAY HAVE DRANK LIDOCAINE. Mr. Ruffalo advised asking the coroner what the numbers for gastric contents on the autopsy report stand for. Are they concentrations or the total amount? So, Mr. Flanagan concluded, the Lidocaine levels in the stomach can't be explained by postmortem redistribuion, thus, he concluded, Michael must have drank Lidocaine. Propofol and Lidocaine numbers on the Michael Jackson autopsy report ARE the TOTAL AMOUNTS IN THE STOMACH, NOT concentrations. by Michael Flanagan or it was an deliberate defense tactic devised to confuse the expert. Mr. Flanagan knew or should have known that the levels for gastric contents on autopsy report were total amounts because LA Coroner toxicologist Jamie Lintemoot testified so. of dark fluid Did you analyze this dark fluid for Propofol? Michael Flanagan: In that dark fluid, you determined 0.13ug/ml of Propofol, correct? Michael Flanagan: 0.13 milligrams. That is not a percentage, is it? is that the total amount of propofol that was in there? Michael Flanagan: So you determined it was 0.13mg in the 70 gram that is in the stomach? Michael Flanagan: 12 parts of Lidocaine to 1 part of Propofol? Michael Flanagan: In the stomach? David Walgreen: Are those concentration values very low? David Walgreen: Are those concentration levels are consistent with someone orally ingesting Propofol or Lidocaine? David Walgreen: Why is that? David Walgreen: How about Propofol? 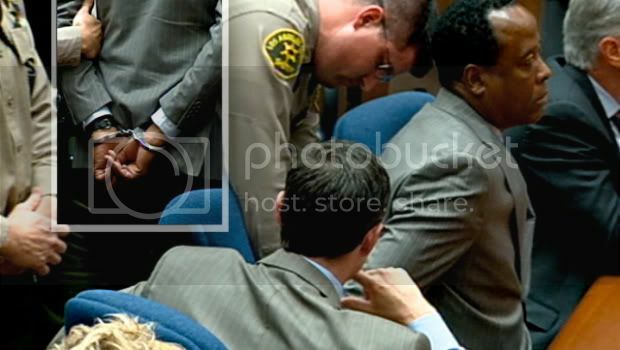 The defence are just throwing out all the gabbage they can to paint MJ in bad light hopeing to confuse the jury of CM's guilt.